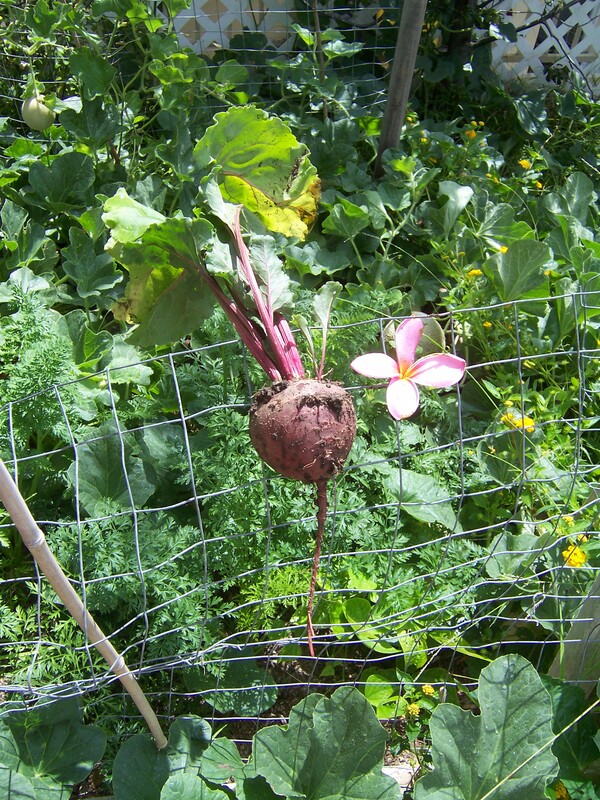 Harvested in late July, this beet was delicious. Photographed over “mommy’s garden” where rainbow carrots are flourishing and the cantaloupes have dominated. 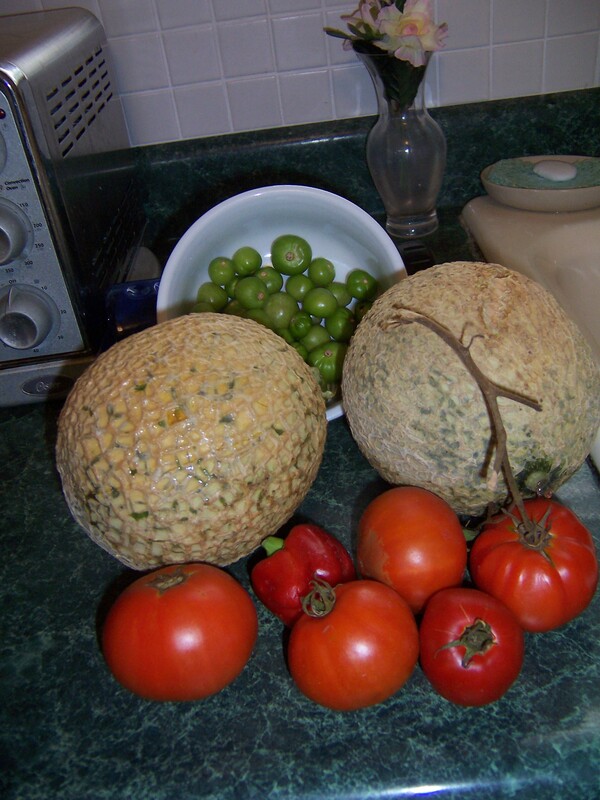 Cantaloupes harvested this morning. Absolutely delicious and worth all the effort keeping our raccoon raiders away.